Scholars from all three Ascension Catholic Academy schools come together for Super Summer Language and Math, a six-week program aimed at combating summer slide and providing a safe, enriching experience for scholars and peace of mind for their families. Many St. John Paul II scholars from grades K-8 attend the program, which is held on the campus of Ascension Catholic School in north Minneapolis. Busing is provided from our school to Ascension, and after-program care is available at JPII. SLAM offers scholars a chance to grow academically and socially in the summer, with an emphasis on closing the summer learning gap. It offers rich programming in a safe, caring and faith-based environment. There are classes ranging from remedial to gifted and talented—and everything in-between. Scholars are grouped according to ability, and they wear corresponding shirt colors. Scholars range in age from entering kindergarten through 8th grade. Every Friday is field trip day. These are planned to provide experiential learning and service. Trips in 2018 included a boat ride on the Mississippi, a visit to Feed My Starving Children and attending a musical play. 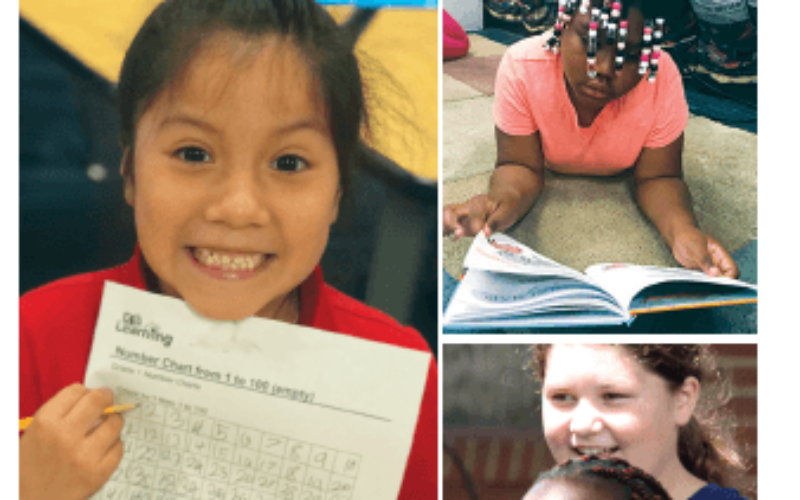 Cost for the program in 2019 is $60 per scholar for all six weeks, which included breakfast, lunch, field trips, and extended-day program with snack. Need more information on SLAM? Download our 2019 Flyer. Use this link to get your child registered for the 2019 SLAM program. © 2019 St. John Paul II Catholic School. All Rights Reserved.